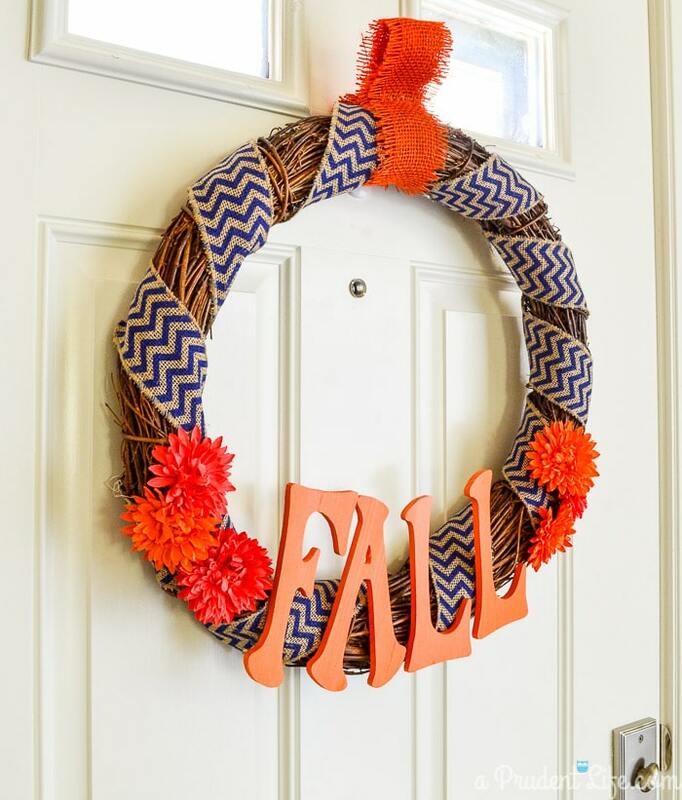 You are here: Home / DIY & Crafts / One Estate Sale Fall Wreath = Three Modern Fall Projects! 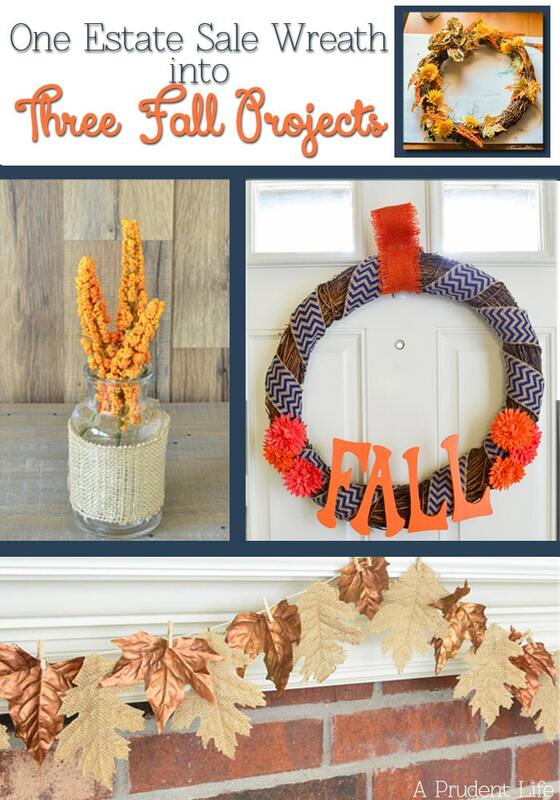 One Estate Sale Fall Wreath = Three Modern Fall Projects! We attended our first college football game of the year this week, and it really helped me get into the mood for fall decorating. Which is great, because I’m taking part in a big fall home tour series in just a few weeks – yikes! I’m excited about the tour, but getting anxious about everything that needs to be done before I can take photos. I confess, there may still be random spring decor hanging around in a few places. I probably need to put all that away before I invite you in for a fall tour! Over the summer, mom and I hit up a couple of garage and estate sales huntin’ for some bargains. 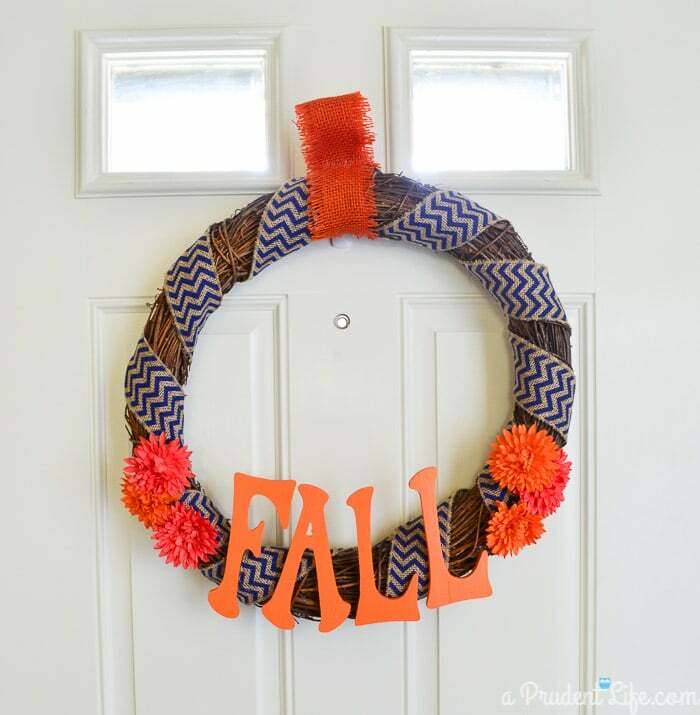 One of the best deasl I came across was an outdated fall wreath. BUT, it was only $2.50! That is definitely cheaper than I could get a new wreath for, so I snatched it up. Let’s ignore the part where I stood in line for over half an hour to pay for this beauty. It’s gorgeous, right? Well….maybe not so much my style. It only took a couple minutes to rip all the decorations off while I marveled at the great grapevine wreath I was uncovering. It was about this point that I realized I was going to be making several projects from my $2.50 steal. I ended up with a new wreath, a small arrangement, and a great garland! Let’s start with the wreath. It was the only project that I struggled with. I didn’t have a clear vision for what I wanted. I did know I wanted it have navy and orange involved, and to be more of a transition from summer to fall piece. 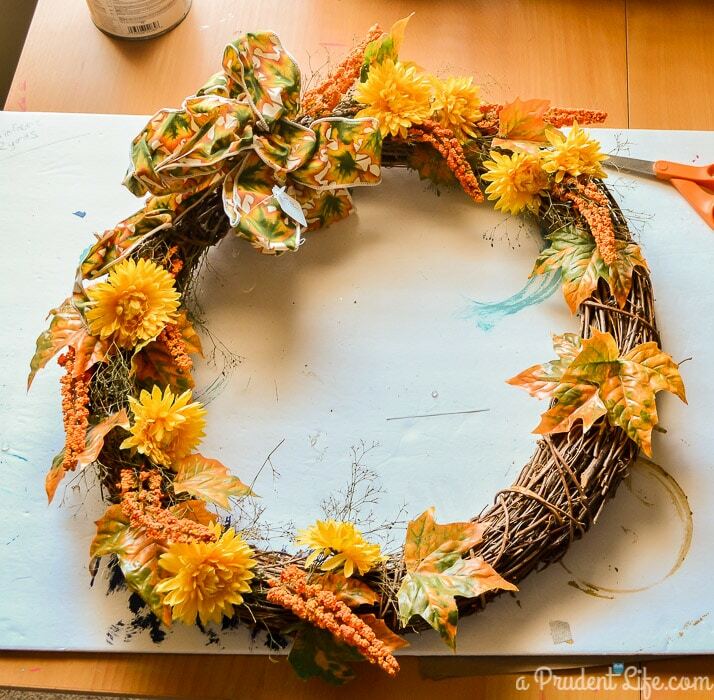 I had this vision of the wreath itself being navy, then some orange and teal decorations. Well, the navy wreath just looked weird. It was more Halloween than happy. Then I started spraying over the navy with a burnished amber metallic paint. It was actually looking neat combined with the navy, so I did some color blocks of navy alternating with the amber. If I had a less glossy navy it might have worked, but as it was, it was still weird. The third try was a charm. I painted over the rest of the navy with the burnished amber. The painted wreath looked more like walnut wood than the oak look it started with. Much better! While all that spray paint was drying, I decided to go outside the box and paint the yellow flowers I pulled from the wreath. 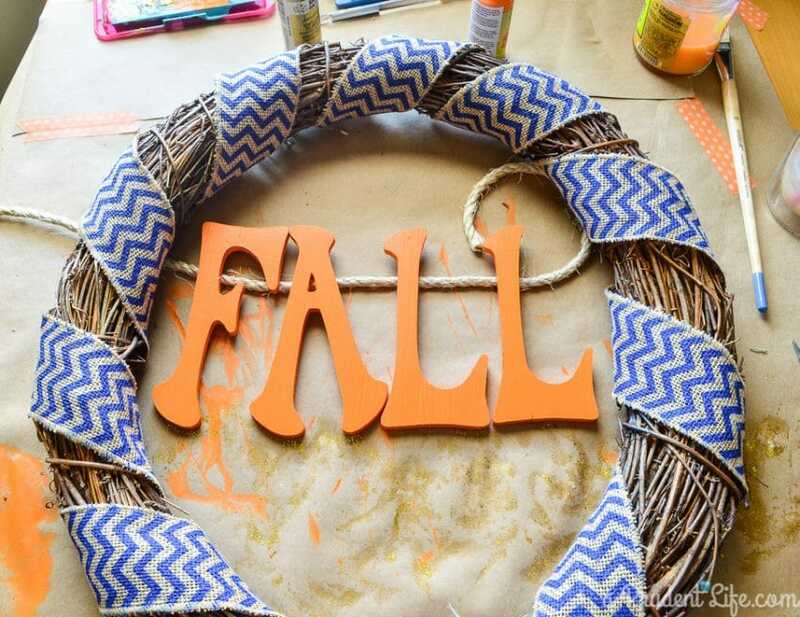 I didn’t have any spray paint in bright fall colors, so I tried using a brush & craft paint. It went WAY better than I expected. I got a little messy, but that’s a small price to pay to be able to reuse something! I also painted some wooden letters from Michael’s. Imagine my joy when I realized I had a roll of blue chevron burlap ribbon. Some people are over chevron, but I’m sticking with the idea that it is timeless in moderation. I struggled again trying to figure out how to put all my random wreath components together. It was kinda cute, but something didn’t feel quite right. I’m glad I kept playing with the letters, because I’m happier with the end result. Once I hung the wreath up, something about it reminded me of football. The Bronco’s colors perhaps? I love that it still has a little bit of a summer feel. Oh, and remember when I said chevron was timeless in moderation? I kinda have a chevron rug RIGHT under my chevron wreath. Maybe I’m just not ready to let go of the trend yet. It’s a benefit of living in Oklahoma. The trends take longer to get here AND to move on. Ready for project #2? This one came together in under a minute! 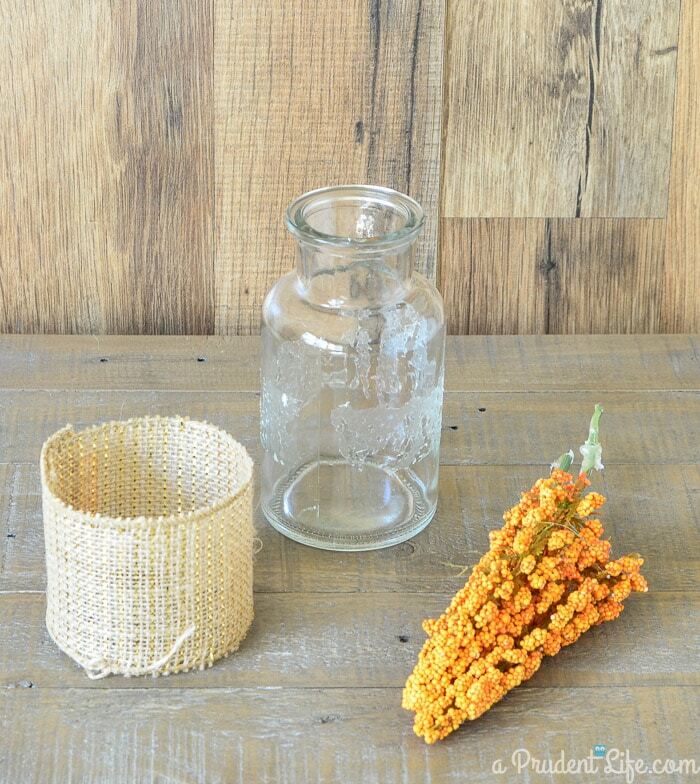 Bottle from the Target Dollar Spot + burlap ribbon + thingies from the wreath = cute fall accent item! That has to be a record for the shortest blog tutorial ever – someone call Guinness! The third project is actually my favorite! Remember those ugly leaves from the original garland? I turned them into a gorgeous garland! 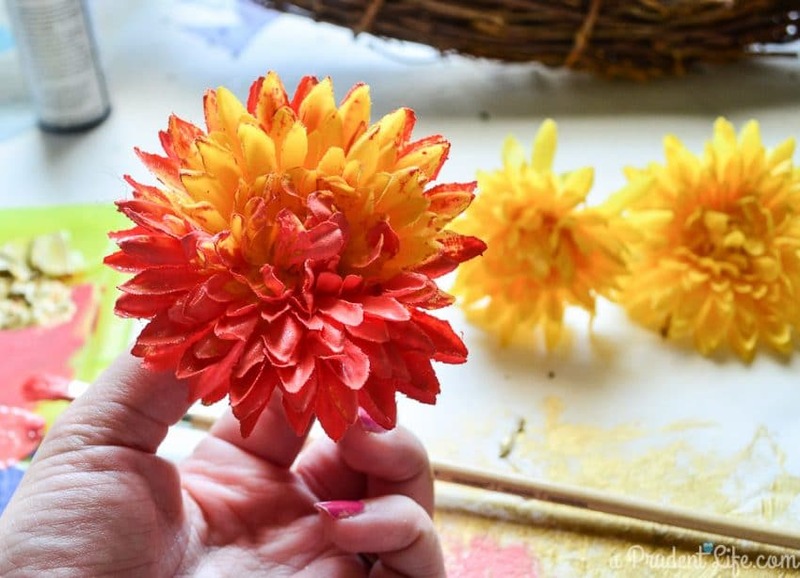 I shared the full garland tutorial over at One Krieger Chick today. Do you follow Ariean Krieger’s blog already? She is AMAZING – totally over the top stylish AND down to earth at the same time. It’s a rare package, and I’m grateful that I’ve gotten to know her. I’m also crazy excited that she is going to be guest posting here at A Prudent Life next week! I am dying to see what she comes up with. I’ve got to take this opportunity to show you two of my favorite projects from One Krieger Chick. Everything about the apple pillow she made recently makes me smile! And then there is her masterpiece. She made an outdoor sofa out of a claw foot tub! What?!?! As impressive as the actual bathtub part is, I think the pillows really showcase her talent. Let me tell you, if I attempted to put together three patterns, much less five, it would be a hot mess. This girl has got skills! I’ll showcase a few more of my favorite posts from her next week. 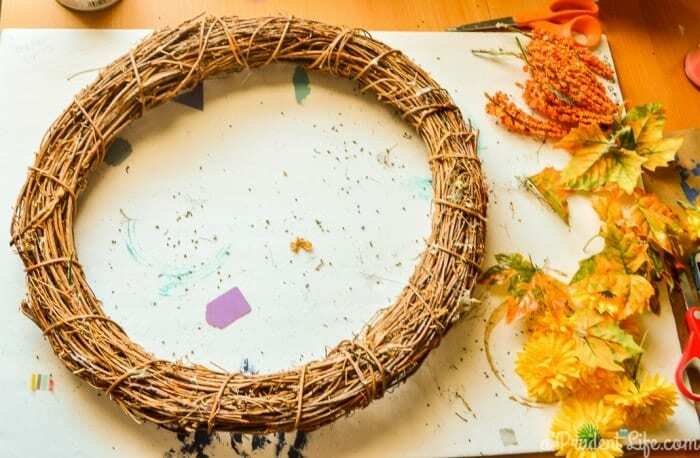 After you check out the garland, and spend hours delving through Ariean’s archives, come back and let me know which of the three estate sale wreath projects was your favorite. 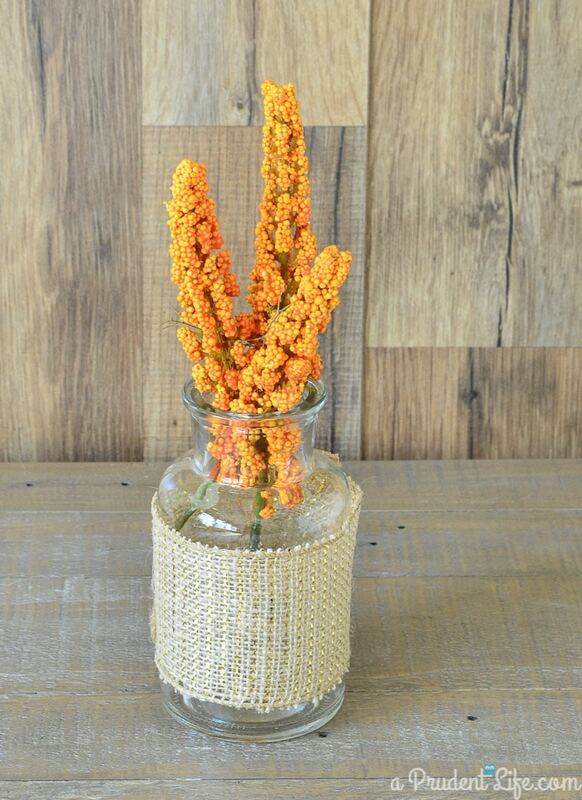 For more fall inspiration, make sure you are following my Fall Decor board on Pinterest! 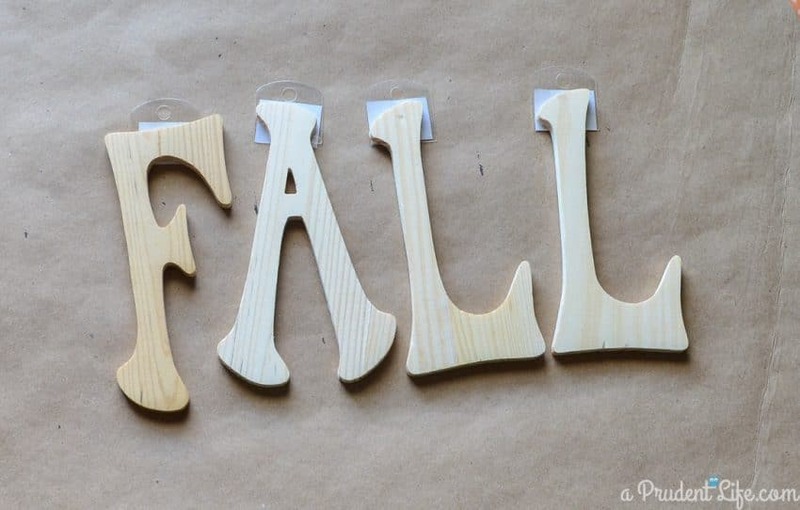 Love all the “fallness”in this post! So much inspiration! 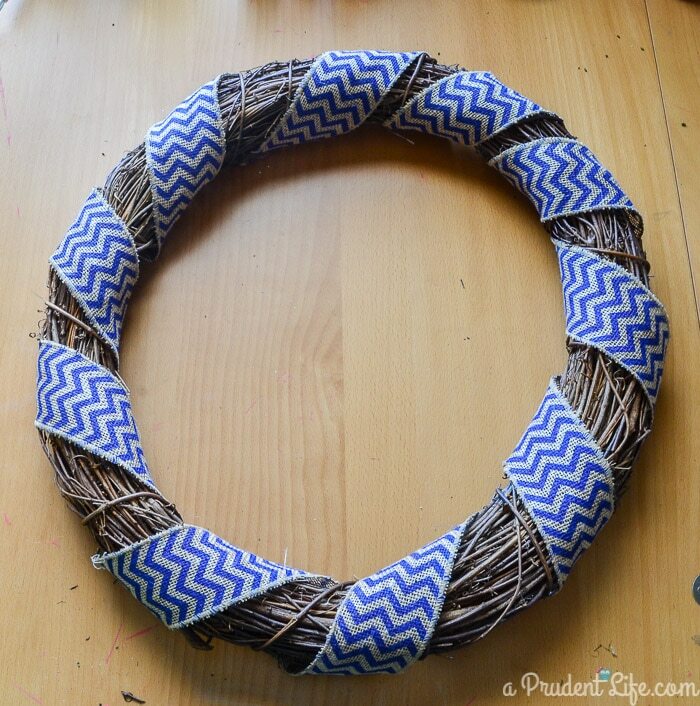 Love the blue in the wreath! All three of them are so great! Definitely the perfect thrift score to get three projects out of one piece! 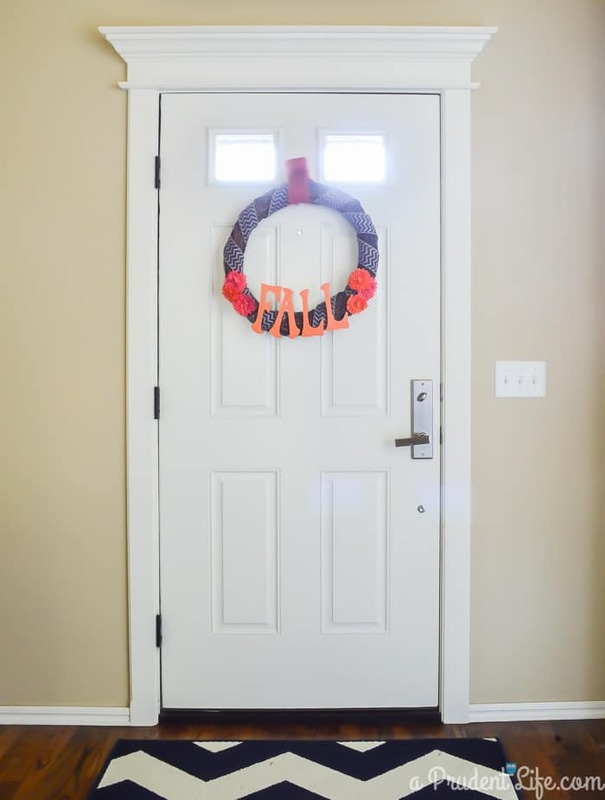 That wreath turned out great, I really need to make one this year for the front door. I’ll be on the look out for a thrift store find now.